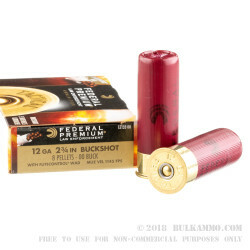 Federal's Law Enfocement line of 12 ga 00 buckshot features their signature FLITECONTROL® wad which results in a much tighter pattern of buckshot than conventional wads. The pellets actually remain together until roughly 10 feet after they exit the barrel when the rear side of the wad starts to come apart. 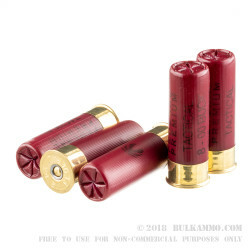 This results in a great hunting and/or self-defense load. 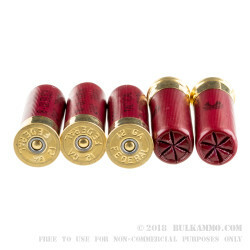 For tight pattern applications, I believe these shells are about as good as it gets. A: Hello Bill! 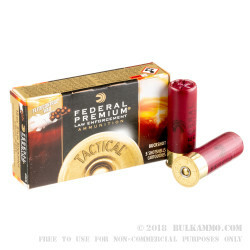 Federal lists the muzzle velocity of this ammunition at 1145 fps.